Call Now. 7 Days a Week. 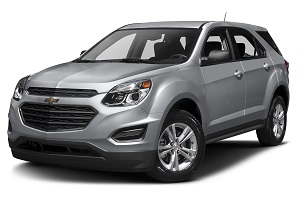 After a semester of college, has the student in your family decided that she needs the car? Or is your job taking you east, so on top of packing up your life you’re looking for nationwide auto transport from Denver? Moving something as big as a vehicle feels like a big hill to climb – you need someone who’s proficient at the expert level, not the bunny slope! 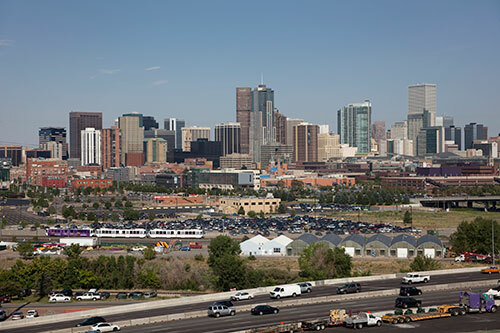 Why choose Easy Car Shipping for vehicle transport to or from Denver? Did you spend a lot of time researching your latest purchase, researching online at every opportunity? And now that you found your dream car online, do you need car shipping to Denver? If you just moved to the area, you probably know you can’t get to ski sites like Loveland without shipping your 4-wheel-drive to your new home in Denver. 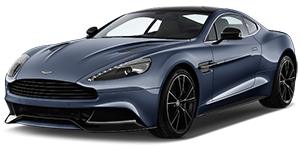 But reliable auto transport in Denver can be tough to find. At Easy Car Shipping, we’re honest, dependable professionals who stand out among auto transport companies in Denver. 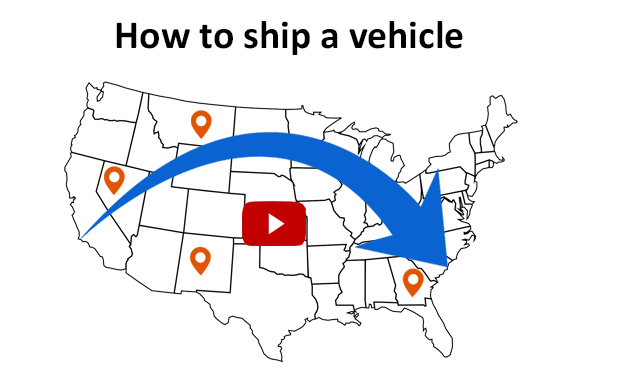 Do you need to ship a car from Denver all the way across the country? Whether it’s a corporate transfer to Connecticut or you’re sending your son’s Honda to him at Ohio State, our dedication to details will astound you. 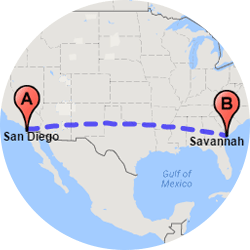 We stay in close communication with you throughout the car relocation process, filling you in on hiccups along the way. Read reviews from some of our clients to assure you’re getting the best transport company for cars in Denver. 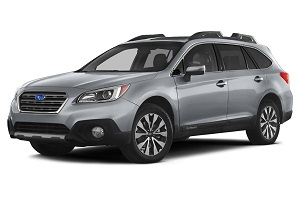 How much does it cost to ship a car to or from Denver? Do you want the best price for car relocation from Denver to your corporate transfer in another state? No matter who’s picking up the tab, you want car shipping services that are affordable. The fact you have to move something as large as a car makes the headache of moving even greater, but believe it or not, the cost is not that high. 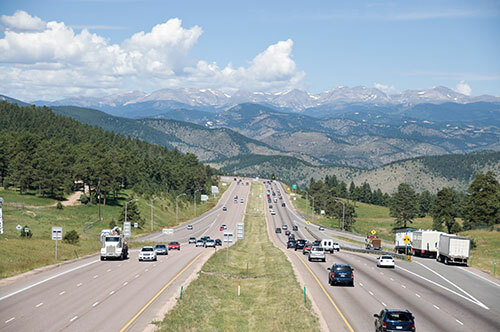 Of course, there are circumstances that affect the bottom line, such as time and place you need a truck, van or car delivery to or from Denver. 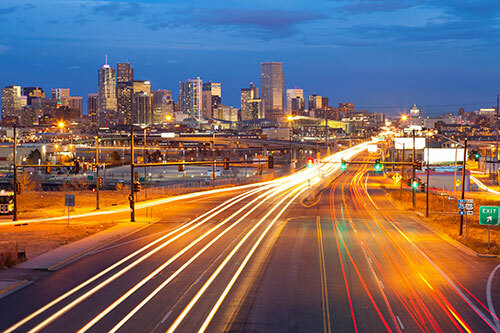 How long does auto transport take to or from Denver? When you live in the Rockies, you can appreciate that sometimes there are weather issues that hold things up, and the same thing goes for car, truck or van transport. The time of year, of course, has a bearing on the length of time car delivery takes. Want your vehicle picked up in 24 hours? 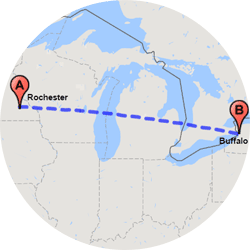 Express auto transport is available and if your dates are flexible, our standard service picks up in 2-7 days. 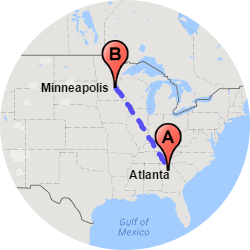 The distance traveled by the car transporter to Denver, or from the city to somewhere else, affects the speed of delivery most. The actual type of location can impact the timing too. If it’s going to a rural area that doesn’t have widely traveled routes it can sometimes take longer to arrive. To give you a rough idea – let’s say you’re Capitol Hill Auto Sales and you sold a car to a customer in Salt Lake. 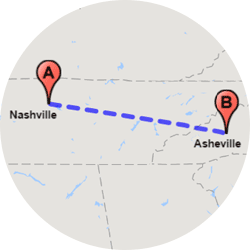 For those kinds of distances, our drivers complete about 250 miles a day. 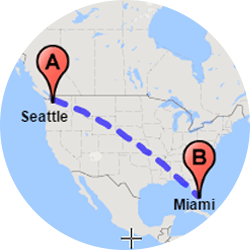 On the other hand, if you’re moving your family to Florida, you need nationwide auto shipping, and long distance carriers may complete as many as 500 miles per day. Get more details by visiting our FAQ page. Is open car shipping right for me – or should I choose enclosed auto transport? Most of us have seen the open car carriers on the freeway. They carry about 7-10 cars at a time and they’re perfectly safe, but do get exposed to the elements. There are some circumstances, however, when you might prefer to have closed container protecting your vehicle. Enclosed car transport in Denver gives what you might call a “first class” experience to your car. Do you drive a new Jaguar or a high-end BMW? Most people choose this service for luxury car transport in Denver. An exotic car transport in Denver would probably be similar. 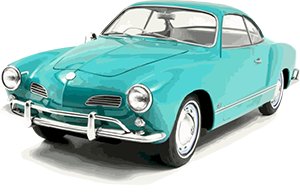 Though enclosed car shipping costs more, it’s best for vehicles with high sentimental or dollar value. 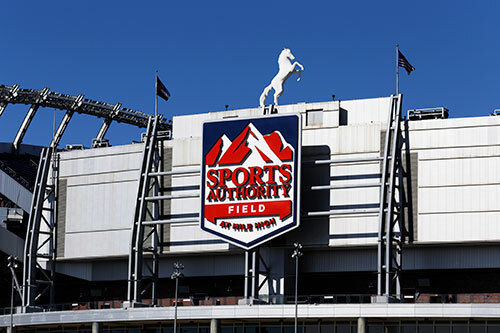 For light vehicles, like golf cart transport in Denver, you want a carrier with walls and a ceiling for protection also. We do motorcycle shipping and truck transport to and from Denver. Are you in a bike club and your friends talked you into upgrading your Suzuki recently? We can ship a motorcycle in Denver, or out of the city, as the case may be. Or are you a GC who needs a work truck moved to a different site? For everything from a family van to classic car transport in Denver, we’ve got you covered. Do you have a raised or lifted pickup truck you need moved? 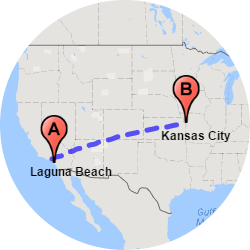 We can ship a truck from Denver or from some other part of the country into the Colorado capital too. Am I fully insured on the transport vehicle during auto shipping? Is it a corporate move? Tell your boss you’ll have the relief of coverage, in the rare event there’s a dispute. But how can you be sure your car’s going to get there in one piece? That’s why there’s insurance. 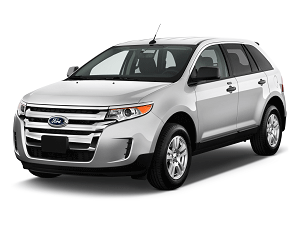 At Easy Car Shipping, insurance is included in your quote. Whether you need car shippers for a MINI or a minivan, we can handle that for you. If you’ve got an irreplaceable car, such as your dad’s Ferrari from the ‘50s, you can rest assured knowing the car is fully insured while in transport. And whether you’re or an individual or a business, our drivers have proof of full insurance coverage for the duration of the job. It’s nice to know there’s insurance in place. 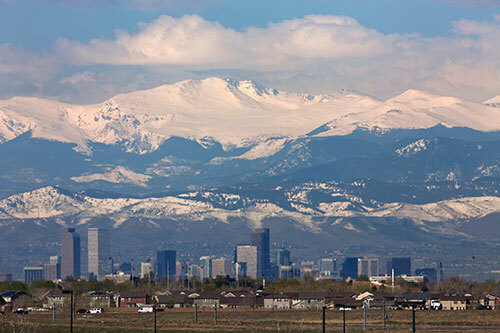 Finding safe, reliable vehicle shipping in Denver can feel as challenging as climbing Pike’s Peak! We’ve got more than 30 years of experience with cars and trucks and virtually any other vehicle you can name. We’re happy to help you ship a car from/to Denver. You’ll trust nothing less than knowledgeable staff members who constantly keep you posted. We’re there for you – every step of the way. © 2019 Easy Car Shipping. All Rights Reserved.